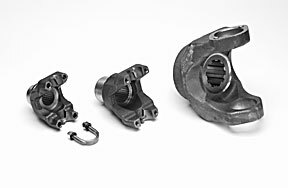 U-Joints We carry a wide range of sizes from small steering joints to industrial application. 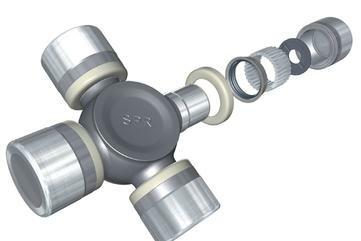 Dealing primarily with Spicer Life Series U-joints you can be sure that you are getting a durable long lasting product. Looking at beefing up your heavy duty driveline? SPL series is the way to go. Yokes Is your differential, transmission or transfer case yoke worn out? Maybe you’re wanting to beef up your driveline to a larger u-joint size. Whatever your situation our partsman will be able to get you the yoke that you need to ensure your equipment is operating properly. 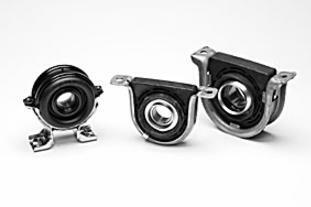 Hanger Bearings Worn out hanger bearings are often the cause of vibrations in two piece driveshaft applications.We carry both light and heavy duty application.